Scientists have long known that seeds gobbled by birds and dispersed across the landscape tend to fare better than those that fall near parent plants where seed-hungry predators and pathogens are more concentrated. Now it turns out it might not just be the trip through the air that’s important, but also the inches-long trip through the bird. 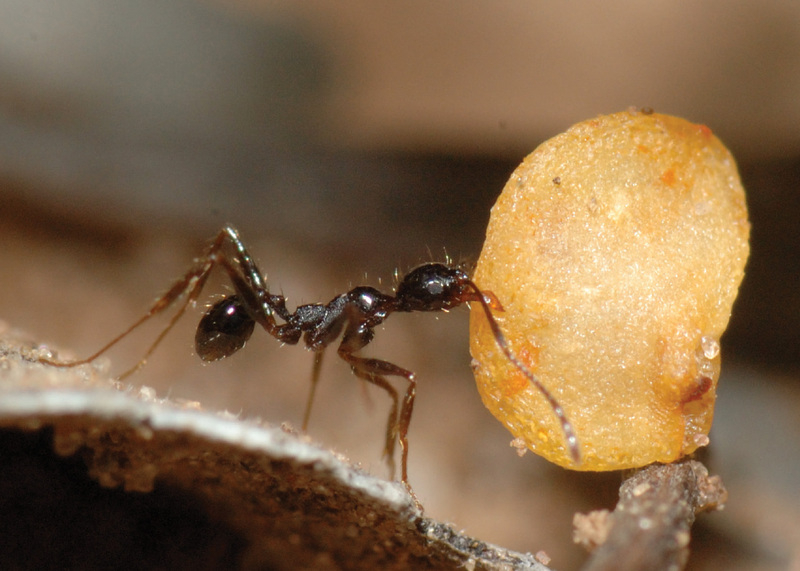 Seeds from a wild chili pepper plant found in South America, after being eaten and passed through the digestive tract of small-billed Elaenias, emerge with less of the odor that attracts seed-eating ants, and carrying fewer pathogens able to kill the seed. Passing through bird guts increased seed survival 370 percent, regardless of how far the seeds were dispersed from its parent, according to Evan Fricke, a UW doctoral student in biology and lead author of a paper appearing online June 21 in Ecology Letters. The assumption has been that the better success was all a matter of distance. And in some cases it is. There have been previous experiments, for example, where seeds from a single plant were planted right by the plant and others at some distance away – no passing through an animal gut, just planted by hand. The seeds farther away survived better. Not all plants benefit when seeds are far from the parent plant, including the chili pepper in the study. The scientists found there was little survival difference between gut-passed seeds planted near other wild chili peppers and those planted some distance away. This could lead to the mistaken idea that the short-billed Elaenia is not important for the wild chili pepper if, as previously assumed, the main value of a bird carrying seeds is to get them away from predators and pathogens around parent plants, Fricke said. The plant in the study, Capsicum chacoense, grows to 5 feet (1.5 meters) tall and produces half-inch (centimeter) peppers that are red when ripe and hotter-tasting than jalapenos. It grows wild in Bolivia, Paraguay and Argentina. 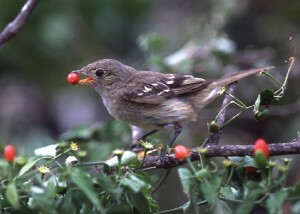 The bird, Elaenia parvirostris, is the most common consumer of chilies at the study site in southeast Bolivia. While still on the plant, insects infect some peppers with a kind of fungi that kills seeds. Laboratory examination of seeds that had passed through birds showed the fungal load of infected seeds was reduced by more than 30 percent. Growing under natural conditions, gut-passed seeds had twice the survival rate of seeds taken directly from peppers. When it came to hungry ants – a major predator of pepper seeds at the study site – seeds straight from peppers were twice as likely to be carried off as were gut-passed seeds, at least for the first two days. 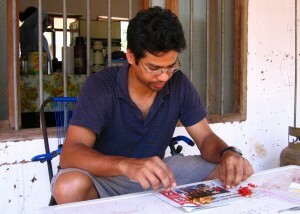 After that the ants went after both kinds of seeds about equally. The scientists suspected some sort of chemical dynamic and lab investigations showed seeds that hadn’t passed through birds emitted volatile compounds, especially during the first two days, that attracted ants. The work was funded by the National Science Foundation and National Geographic Society, and logistical support in Bolivia was provided by Fundación Amigos de la Naturaleza and the Wildlife Conservation Society. The other UW co-authors are Melissa Simon, Karen Reagan, Jeffrey Riffell and Joshua Tewksbury, who remains a UW faculty member although he is now with the Luc Hoffmann Institute, WWF International, Switzerland. The other co-authors are Douglas Levey with the National Science Foundation and Tomás Carlo, who did postdoctoral research at the UW and is now at Pennsylvania State University.